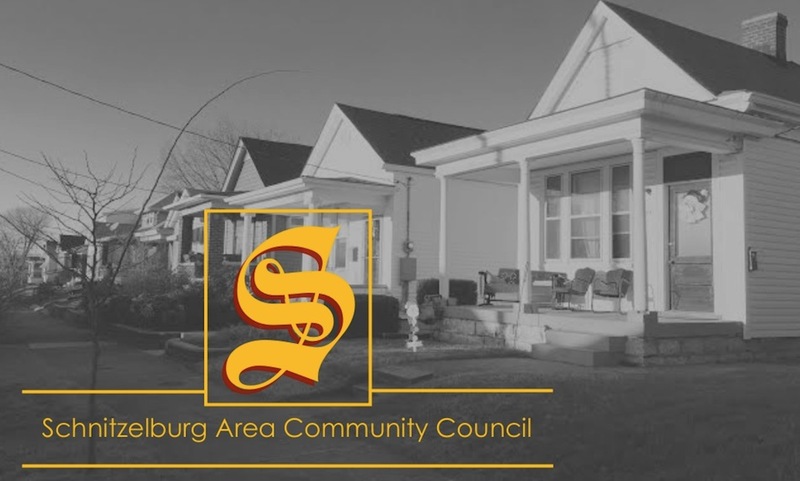 Schnitzelburg Area Community Council: Schnitzelburg Holiday Shopping Guide - Buy Local! 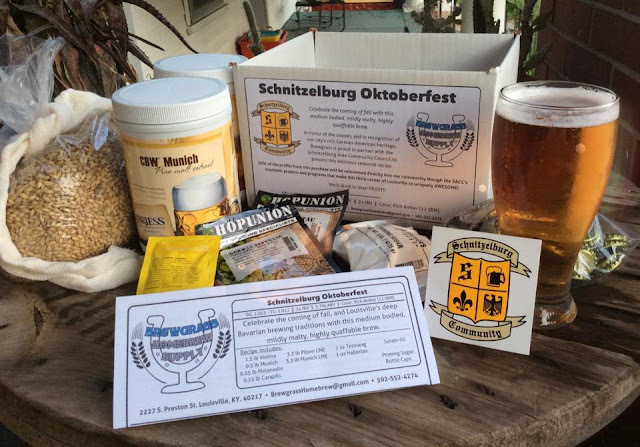 Schnitzelburg Holiday Shopping Guide - Buy Local! The holidays here! This year SACC encourages you to shift your shopping habits to buy local! With so many great shops in and around Schnitzelburg, Christmas shopping should be a breeze! 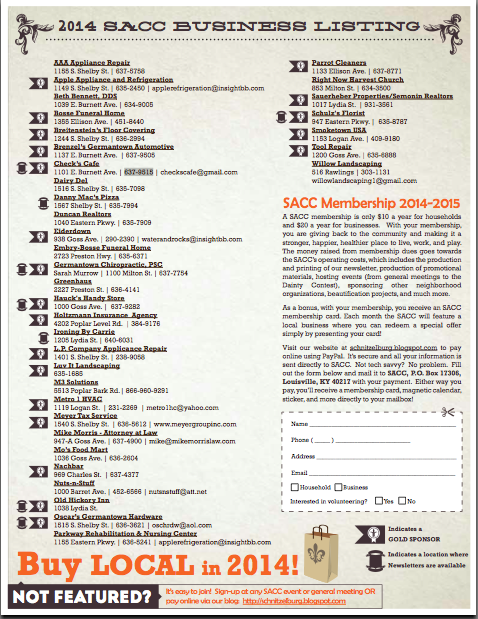 Check out the back page of the SACC newsletter for a list of Schnitzelburg businesses! Looking for gift ideas? What about a beautiful arrangement from Schultz's Florist? Chocolate and beer from Greenhaus? A gift card to Smoketown USA? Sprucing up dad's favorite tool at Tool Repair? Not all Schniztelburg businesses are listed here. Find a perfect, one-of a kind gift at Yesternook! Get a bag of fair-trade coffee from Heine Brothers! Craft something special at Gather and Stitch! Pamper your pooch at Sit, Stay, and Play Doggie Daycare for the holidays! Treat yourself to a fresh look for holiday parties at Hali B. & Co.! If you are a small business owner and interested in having your business listed, please contact Jennifer at jnnfr.r.chppll@gmail.com. Be featured in the December newsletter - just in time for holiday shopping! Even when you venture out of Schnitzelburg for your holiday shopping, please support local businesses! 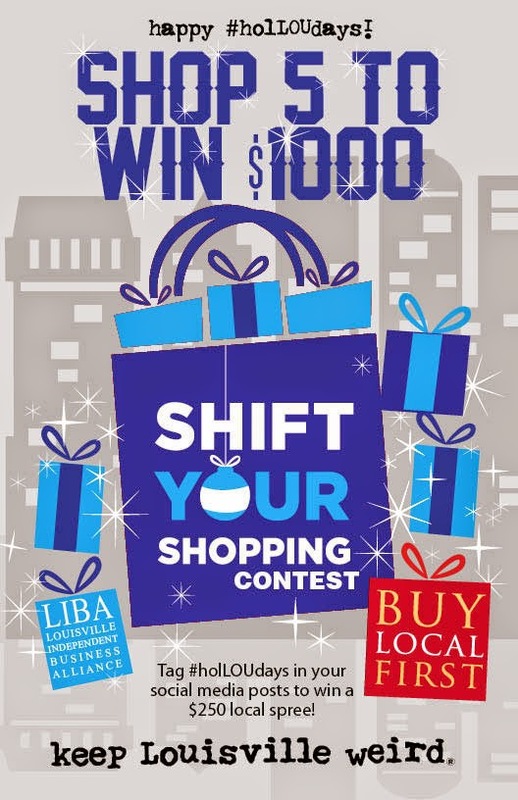 To encourage buying local this holiday season, the Louisville Independent Business Alliance (the force behind the Keep Louisville Weird campaign) is having the 2014 Shift Your Shopping contest. The contest is simple! Shop at 5 local LIBA Member businesses (there's over 500!) and save your receipts. Once you get 5 receipts, fill out an entry form and turn in your receipts at any Feeder's Supply location or Revelry Boutique. You can enter as many times as you like, but your receipts must be dated between November 19th, 2014 and January 5th, 2015. You could win $1,000 just for doing your holiday shopping! There is also a chance to win a $250 shopping spree at local businesses just by using the hashtag #holLOUdays on social media. It's that simple! Why is important to buy local? Not only are you supporting a small business owner and a unique shop, restaurant, or service you are helping our local economy. 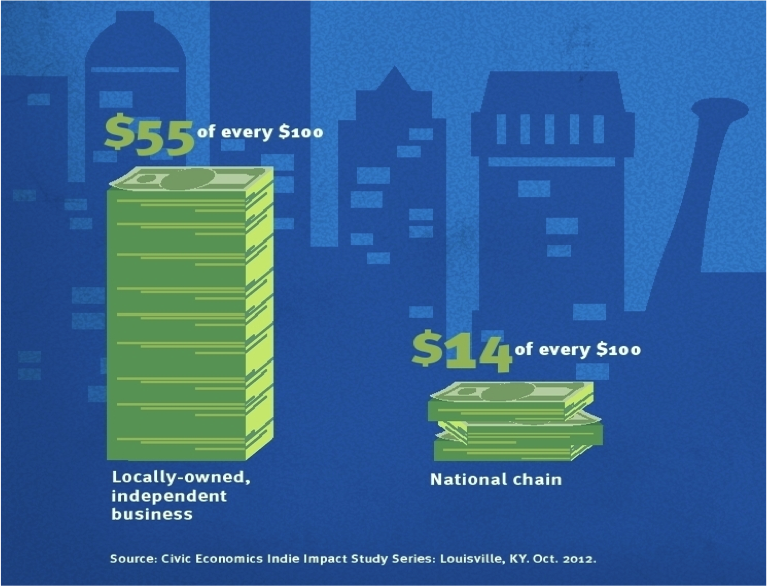 A study conducted shows that for every $100 you spend at a local business, $55 stays in our local economy versus only $14 in a national chain. There is power in how you spend your money! Think of every dollar you spend as a vote. Those "votes" show who you support and what businesses are important to you. Remember: Small Business Saturday is November 29th! Knock out a chunk of your holiday shopping at the Flea Off Market Holiday Bazaar. The monthly bazaar is temporarily moving from NuLu to warmer digs in Schnitzelburg! 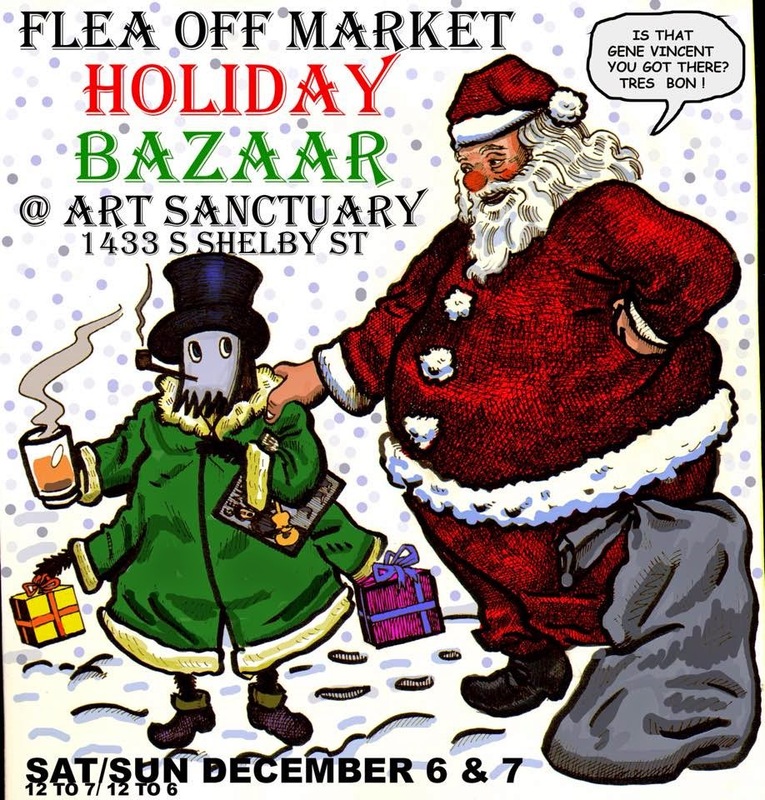 The Holiday Bazaar runs December 6th and 7th at the Art Sanctuary (1433 South Shelby Street). According to the Holiday Bazzar Facebook event page, they will have "two floors of handmade gifts and jewelry, puppets, records, books, pottery, and a wide selection of what our local maker community has to offer." They will also have indoor food vendors and a cash bar. Music from Cruel Carols, Groovy Croons, and Piaf Tunes by Dane Waters will keep you merry while you shop. 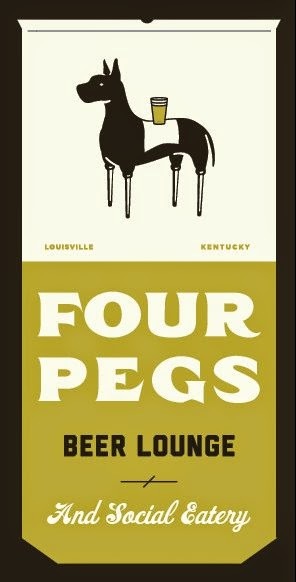 And while it is not holiday related, Four Pegs Beer Lounge will hosting Four Paws at Four Pegs where they will be donating 10% of all food sales to the Kentucky Humane Society on Friday, November 21st from 5:30 to 11. Dogs are welcome to join in the fun on the patio (they will have a fire pit going for warmth!). Chef Turner has even created homemade doggie treats for your pooch! Sounds like a fun night for a great cause! 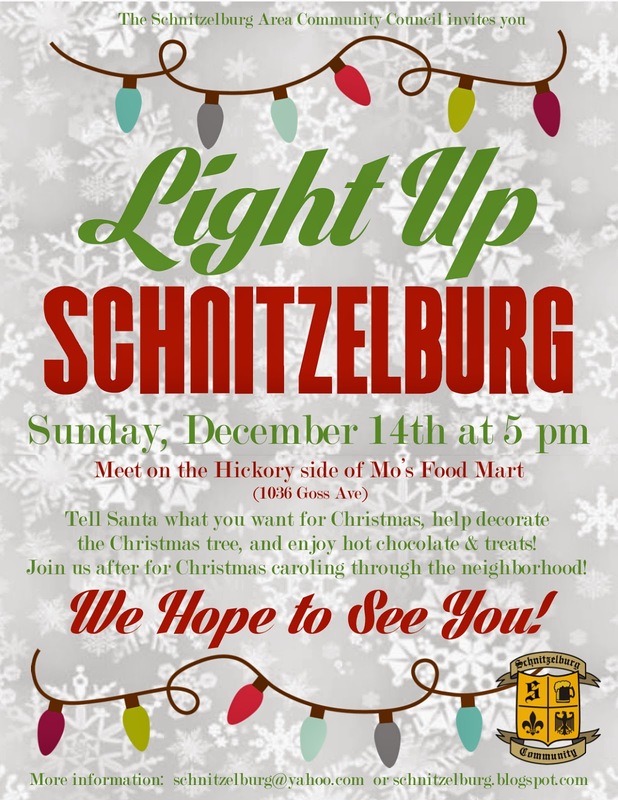 Also, don't forget to mark your calendars for Light Up Schnitzelburg on Sunday, December 14th at 5pm!! That is really great to have such a shopping guide. Thank you so much for giving the information.